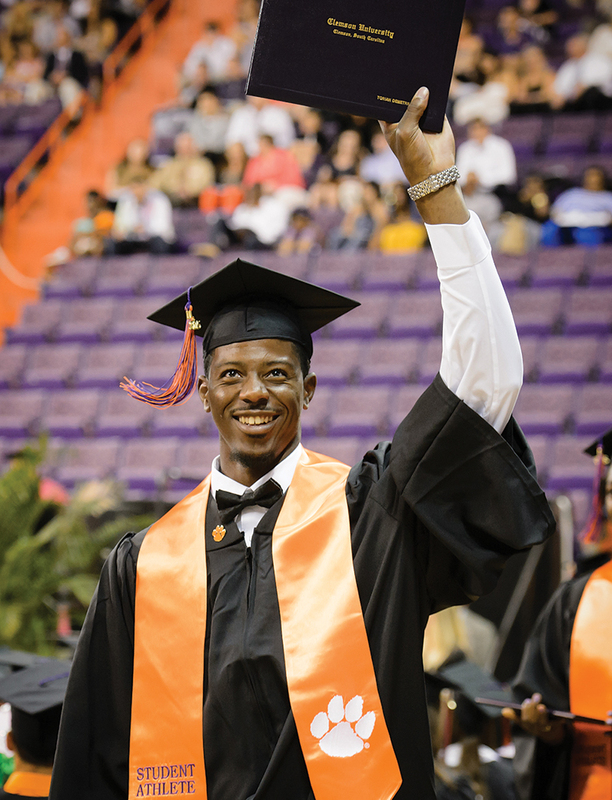 All of Clemson’s 19 athletic programs exceeded the NCAA baseline Academic Progress Rate thresholds for the 2013-14 year, according to data released by the NCAA. The APR is a real-time measure of eligibility and retention of student-athletes competing on every Division I sports team. Out of a possible score of 1,000, teams have to have a threshold score of at least 930 to avoid possible sanctions. A score of 930 projects a 50-percent graduation success rate. Clemson’s teams didn’t just meet the minimum. Football, women’s golf and women’s diving were recognized for their multiyear total ranking among the top 10 percent of all programs. The football program is one of only five Football Bowl Subdivision (FBS) programs ranked in the top 10 percent each of the last five years. Clemson is the only FBS program nationally to finish each of the last four seasons in the top 25 of both polls on the field, and in the top 10 percent of APR scores in the classroom. During the 2013-14 academic year, a remarkable 12 programs posted perfect 1,000 single-year scores, and each of the 19 programs posted a multi-year rate of over 950.